A sequel to La Resa dei conti, Corri Uomo Corri (aka Run Man Run) saw Thomas Milian reprise his role as Cuchillo, one of many Mexicans descending on a small Texan town on the lookout for some hidden gold. As one review I read says – “unsurprisingly, gunfights ensue.” The brilliant score is credited to Bruno Nicolai but apparently there is some doubt as to its true authorship – director Sergio Sollima says in his DVD commentary that Ennio Morricone (who scored the film’s predecessor) actually wrote it, but forewent the credit for tax avoidance reasons; but that has since been disputed by others. Whoever wrote it, the score is excellent, one of my favourite spaghetti western scores in fact. The main theme is introduced by vocals in “Espanto en el Corazon”, before an explosion of brass brings in the piece’s second half. There’s an immediate reprise in the very jolly “Tema Dolores”, la-la chorus joining in and bringing a huge sense of fun. A lilting guitar solo introduces “Mulini a vento”, but surprisingly this leads into a passage of suspense – a brilliant passage, it has to be said, with gradually building brass and various Mexican flourishes. “La sfida” introduces the exceptional second theme, a classic spaghetti western theme, driving and strangely moving (and distinctly Morriconean). “Duello” is not quite the kind of epic action track its name implies, but it’s exactly the sort of music that conjures up images of slow-motion guns and bullets and blood. If it hasn’t turned up in a Quentin Tarantino movie yet, it’s only a matter of time. It’s exquisite, extraordinary music. “Il mondo di Cuchillo” introduces a new theme and it’s another beauty – ravishing Mexicana clearly inspired by the folk tune “Adelita”, it’s just gorgeous. “Ricerca dell’oro” is a deviation into much darker musical territory, suspense (but highly listenable suspense) before the beautiful “Fuga dall’ovest” offers a variation on the main theme which is scarcely recognisable until it suddenly bursts forth on trumpet with strident accompaniment from the full orchestra in the piece’s second half. The titular “Corri Uomo Corri” offers a more upfront version of the “Adelita”-style theme. The second track called “Mulini a vento”, as sometimes seems to be the case with Italian soundtracks, doesn’t seem to have much in common with the first; it’s suspense again, but this time there’s an unsettling choral presence which is particularly effective. Another highly appealing melody is heard in “Americana”, first as a guitar solo before being taken up by a wordless female vocalist. The remainder of the album reprises the majority of the thematic material already introduced, often in very fresh ways – there’s never a feeling of excess repetition. It’s worth noting that I have reviewed this album in the sequence of the original half-hour vinyl release rather than this 50-minute CD from Digitmovies – I think it’s a better listening experience. But you can’t really go wrong with any release of this stupendous score, which is creative and massively entertaining from first note to last. A major score. Bruno Nicolai ‘s masterwork ? It’s my favourite, but I haven’t heard that many (sadly). I remember when I started my wonderful journey of discovery of Morricone that it was hard to know what to get, but it’s even harder with the other Italian composers because there are often literally no reviews or comments anywhere. James, incredibly, your review for CORRI UOMO CORRI [RUN MAN, RUN] perfectly reflects the music for its predecessor LA RESA DEI CONTI > better known outside Italy as “THE BIG GUNDOWN”. And the title for the sequel was taken from the vocal cue ‘RUN MAN, RUN’, sung by CHRISTY with a dazzling array of Morricone’s ‘western’ musical effects. This United Artists LP credits “Orchestra & Chorus Directed by Bruno Nicolai”. However, my QUEIMADA CD, with Morricone Westerns as fillers, credits both Morricone and Nicolai as composers for THE BIG GUNDOWN…Figure?? The partnership of Morricone as composer and Nicolai as orchestral conducter constellated in some of Cinema’s most memorably brilliant scores of the late 1960s & ’70s. 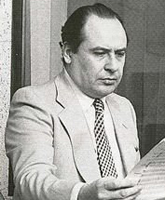 Nicolai occassionally branched out as composer….. the result – functional,mediocre scores. He was unable to parallel the genius of Morricone. And your review clearly refers to the extraordinary music of a maestro. It’s possible he adapted THE BIG GUNDOWN themes OR as was suggested, for Tax evasion, Nicolai was credited as composer. Morricone often used psuedonyms such as Leo Nichols & Dan Savio for personal reasons.